Hong Kong + China + Macau were the 3rd country (or 3rd to 5th governments) up for review of IGM practices at the 56th session of the UN Committee against Torture (after Austria and Denmark). Tue 12:55h Committee member Sapana Pradhan-Malla just asked Hong Kong, China + Macau (!!!) 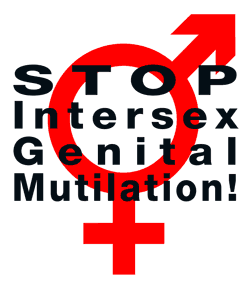 questions on Intersex and IGM! YAY!! Further, Sapana Pradhan-Malla also raised concerns regarding LGBTI issues in general and specifically the lack of legal recognition for trans persons, and non-consensual “reparative therapies, or conversive therapies”. For the State Parties’ (no)answers see the second session tomorrow. «In your response you mentioned that LGBT is not a crime in China but what about the forced and unnecessary surgery on intersex population? In relation to Hong Kong I still want some clarification. The binding “Concluding Observations” of the Committee will be published in December. My 2 cents: The 3rd flat-out Gov denial of IGM practices in this session – and also the 3rd time in a row that Delegates tried to deflect from IGM by invoking “LGBTI” (or in the case of Austria, “transgender”). Intersex people have long been fed up with being wrongly “subsumed” under such labels as a pisspoor excuse to ignore victims of IGM practices, but to protect IGM perpetrators instead (see e.g. 2015 CAT HK NGO Report, p. 10; 2014 CRC Swiss NGO Report, p. 11-12. How much longer? !